This turn key & timeless BEAUTY checks all of the boxes and is waiting for YOU! 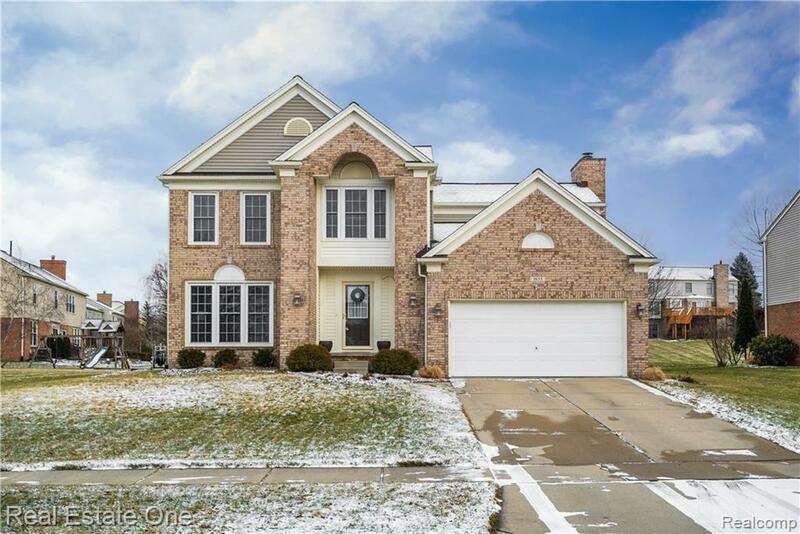 Nestled on a fabulous Interior lot (1/4 acre) in ROLLING MEADOWS, a sought after community w Sidewalks/Pool/Tennis Courts/Playground/Activities for Resident's to enjoy. Updated from top to bottom w lots of natural light beaming throughout the many oversized wdws. Easy care LVT/wood/lam flrng grace much of the entry level & the carpeted Fam Rm has a natural FP. Updates incl a timeless Whte Kitchen w Solid surf cntrs & Island, newer appliances & drwall to Brick Paver Patio. Upstairs you will find a priv Master Suite complete w dual sink bath, shower & WIC. All BR offer lots of closet space, neutral colors & lg windows. The lower level provides a great space for play & sep Laundry w storage. Recent updates incl: Roof, Trim, Gutters, Ext/Int Paint, Lighting, Wdws, Drwls, Ht Wtr Tnk, HE Furn, A/C & transferable warranties. What's not to LOVE? All of this is ready & waiting for YOU to make it your new HOME.